Although Bitcoin has been showing high potential in the global financial sector, it still faces obstacles in various countries. One of the major problems that Bitcoin owners experience is using this digital currency in daily life for small pleasures, for instance buying a chocolate sundae. Right now in order to make a purchase you would need to scan a QR code using your smart phone or email the extensive Bitcoin address to the vendor. For the majority, making purchases with Bitcoin remains more complicated than using Visa or MasterCard. However, according to Xapo, a company that offers online Bitcoin wallets, this will change in two months. Xapo will soon launch the first debit card that will allow customers to buy products and services using Bitcoins everywhere Visa or MasterCard is accepted. This is definitely an indicator of Bitcoin’s increasing matureness and slow but steady integration into the international financial sector. Numerous online Bitcoin-financed startups are promoting Bitcoin’s further development and incorporation into the global monetary system. Currently, there are several companies that provide customers with prepaid Bitcoin cards; however, many of these give the impression of being here-today-gone-tomorrow. Operating from Hong Kong, Xapo aims to create the first strong tie between the crypto-currency and a debit card, and, it is endorsed with $20 million in venture capital funds keeping a firm grip on the financial pulse. In addition, Xapo acts in accordance to the US law and requires its customers to confirm their identity and residency when creating an account. The way it works is very similar to a regular credit card system — Xapo issues a card with a debit card number with an expiration date. The card number is free of charge, but a plastic version will cost $15. Xapo will accept or decline the transaction depending whether you have sufficient funds in your account. It trades your Bitcoins on the Bitstamp exchange and reimburses the vendor similar to any other card network. According to Wences Casares, the founder of Xapo and an expert in the digital payments, “You just have one card that you can use everywhere without restrictions”. 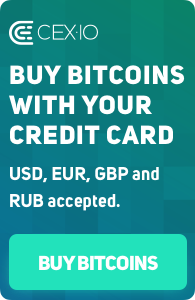 If you are interested, open a debit card account at Xapo on the company’s web page.